These crafts are fit for seniors because they are calm and simple. They’re also nostalgic, adding joy to the time spent making them. Seniors might also enjoy making these crafts to give as gifts over the holidays. 1 Recycled Card - Bookmarks Use ribbon, glue, and old Christmas cards to make simple bookmarks. 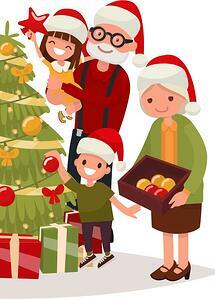 2 Mason Jar Snow Globes - Encourage seniors to put knick-knacks collected over the years in their mason jar snow globes. Only a few materials are needed. 3 Memento Ornaments - Clear, hollow ornaments can be fun to fill with special mementos. These are often valued as priceless memory holders and conversation pieces. 4 Scrapbooks/Photo Albums - Good old-fashioned scrapbooking allows seniors to reminisce and share stories with a sense of purpose and delight. 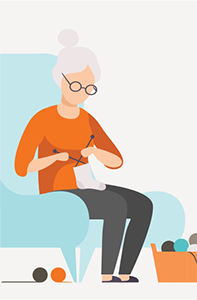 5 Needlework/Sewing Projects - There are a ton of easy, fast, adult crafts seniors can make using fabric, needle, and thread (or yarn). Search online for adult sewing ideas and directions. For information about the benefits of crafting for seniors, and how to make projects more special, .